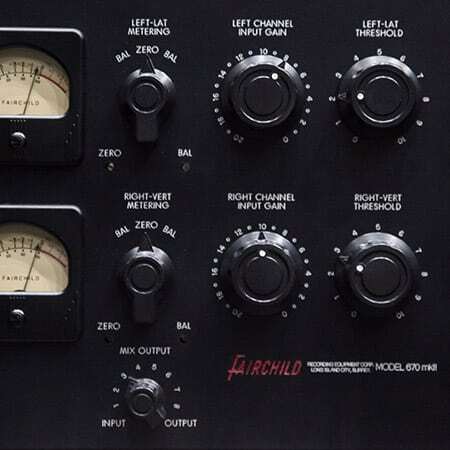 For our Mastering service we have an extensive range of analogue equipment including Fairchild 670 MK-II, Shadow Hills, GML, Charter Oak, SSL, get your music radio friendly and commercially ready. Mastering is final process of an audio recording including a combination of EQ, Multiband Compression, Stereo Imaging, and Limiting. In order to ensure this is successful we have invested in over £80K in acoustics and monitoring at our studio. This includes world-class ATC-300’s Roger D’Arcy Recording Architect Rooms and reference NS-10’s as well as Auratones and Avatones to ensure that your master sounds great in all listening situations (car, club or radio). A full equipment list of can be found here. Masters can be done remotely as we can send you digital link to the mastered WAV’s or we can arrange for a time for you to come on sit in with session. Before we master we always have a consultation with the client so we can reference masters to tracks that are currently released that the client likes. We can also give advice on how to present the pre masters to us so we can master the tracks the best way possible. For commercial releases we can also create Red Book CD’s and DDP images with CD text, ISRC and EAN/UPC.